A burgeoning billion-dollar industry and the political fortunes of Dalton McGuinty’s Liberals may turn on a legal challenge by a single man whose day in court arrives Monday. Ian Hanna lives far away from the corridors of power in Queens Park and Bay Street in a century-old farmhouse on Big Island in Prince Edward County. But Monday he finds himself in the epicentre of a debate that could shape the economic future of the province and the political fate of the ruling Liberals. It’s a fight over wind turbines that have been rising across Ontario with ever greater frequency, an industry the Liberal government has subsidized with plans to double its energy capacity in this year alone. But those plans in Queens Park — really the heart of the Green Energy Act — were placed in judicial crosshairs 15 months ago. That’s when Hanna, 58, challenged a provision that creates a buffer of only 550 metres between turbines and homes. Several doctors have lined up behind Hanna’s challenge, saying turbines emit low-pitched sounds that disrupt the body’s normal rhythms and cause ailments including headaches, tinnitus, dizziness, nausea, rapid heart rate, irritability and problems with concentration and memory. Those concerns have been dismissed as irrelevant by lawyers representing the Ontario government, who instead will try to convince three judges in Toronto that Hanna doesn’t have a legal basis for his claim — that there is no provision in the Green Energy Act itself or elsewhere that allows a citizen to challenge a regulation. The dismissive approach concerns Hanna’s lawyer Eric Gillespie. “That’s been a significant concern for all the experts that are part of this process on behalf of Mr. Hanna,” Gillespie said. Gillespie is an environmental lawyer who cases include one that landed a $36-million award, since appealed. The government’s decision to object solely on procedural grounds worries the wind industry that over the next 20 years has planned about $20 billion in investments that would be subsidized by Ontario taxpayers. A lawyer for the Canadian Wind Energy Association declined to comment about Hanna’s case, but did provide a copy of its written arguments. An Ontario Environment Ministry spokesperson defended the Green Energy Act. “Our process is based on science, modelling and jurisdictional comparisons. It will be protective of public health and the environment,” Kate Jordan said. E-mail jonathan.sher@sunmedia.ca, or follow jsherLFPRESS on Twitter. 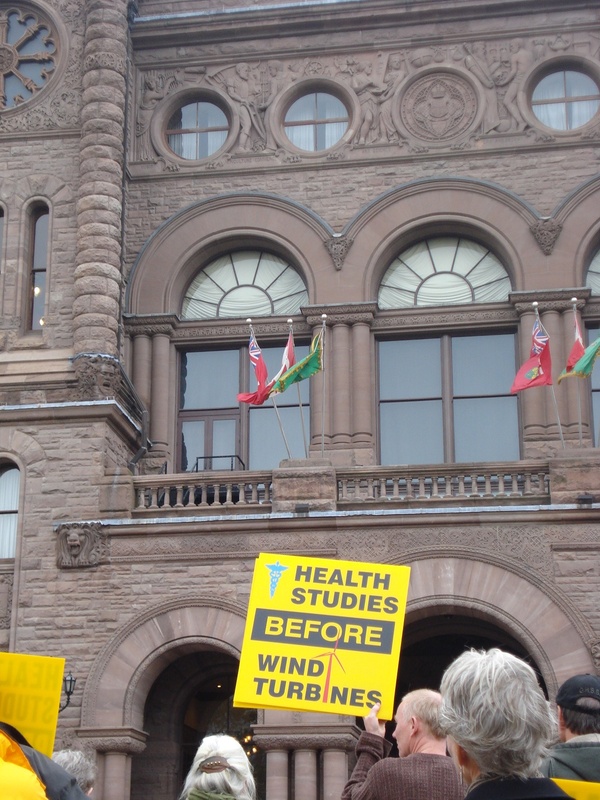 Ian Hanna has asked an Ontario court to strike down part of the province’s Green Energy Act, enlisting doctors who argue human health was compromised when the act created a buffer of only 550 metres between wind turbines and homes. If Hanna prevails, the burgeoning wind industry could grind to a halt until medical studies are done. The lobby group for the wind industry has intervened in the case. The Ontario government dismisses medical claims as irrelevant and says Hanna doesn’t have a legal basis for a challenge. Three judges in Toronto will hear evidence Monday and Tuesday. Posted on January 24, 2011, in Green Energy Act, Health, Ian Hanna Lawsuit, London Free Press, Ministry of Environment, Take it to court. Bookmark the permalink. Leave a comment.